Pellevé is an innovative new system targeted at reducing the appearance and feel of fine lines and wrinkles. Pellevé uses advanced radiowave technology to heat the deep layers of your skin without damaging the top layer. The heat causes the collagen in your skin to contract and tighten, therefore reducing wrinkles. Your skin will start to produce new collagen after the treatment as well, resulting in an improvement to the skins quality, tightness, and firmness which you can visibly see and feel. The Pelleve treatment requires no downtime and no recovery time. Pelleve can be used to treat your facial skin and around the eyes. It can also be used to treat the neck and décolletage area. It works as a stand-alone treatment or in conjunction with Thermage for really powerful results. 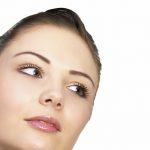 Most people see the results of Pelleve immediately after just one treatment, and that improvement can last up to 6 months as your skin produces collagen. The doctor will however recommend the amount of treatments that are suitable for you for the results you want to achieve. For more information and pictures, please visit the Pelleve Website. Pelleve treatments are sold and provided by independent practitioners from the Dr Rita Rakus clinic in London on behalf of CMA Lasers Limited. The information provided on this page is for general reference only and is not an offer of sale or invitation to treat.